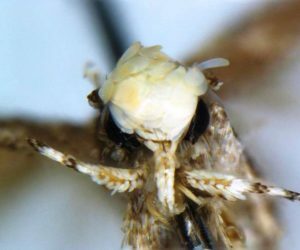 Somewhere floating between California and Mexico, there lives a newly discovered species of moth with an oddly familiar name. Named Neopalpa donaldtrumpi, this small-sized winged insect is distinguishable by its yellow-white head tuft that reminded the name-givers of the 45th President’s trademark hairdo. According to biologists, it is hoped that this eye-catching name will help to bring public attention to the need to protect the special habitat that this moth calls home. Trump will not be the first president to have an animal named after him. A fish native to the coral reefs of northwestern Hawaii was named after President Barack Obama in honor of his efforts to protect the fish’s habitat.